Fritt Ord is a Norwegian private charitable foundation whose purpose is to protect and promote freedom of expression and the environment for freedom of expression in Norway, particularly by encouraging lively debate and the dauntless use of the free word. 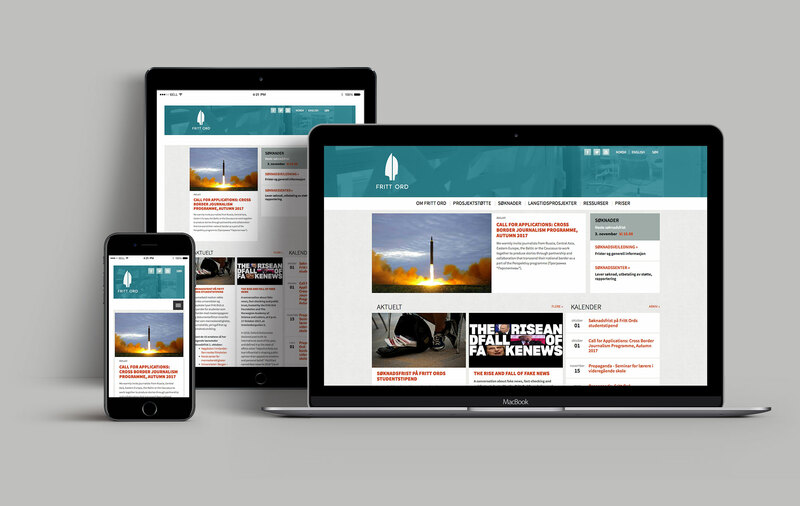 We created a responsive site easily optimising the content across all devices. Our primary goal was to create a fast, mobile-friendly experience which presents Fritt Ord in a clear and engaging manner. A critical goal for the new frittord.no was to create a site that was both fast loading and highly responsive to use as well as ease of use for both the user as well as the administators. The site is delivered in both Norwegian and English.